Attorney Thomas Fountain is a licensed pilot with an instrument rating. Since 1994, attorney Fountain has litigated general aviation cases involving issues such as faulty or negligent repair of airplanes, airport infrastructure defects, and aircraft failures. Mr. Fountain’s experience with aviation litigation has been diverse. One case handled by Mr. Fountain involved alleations that a Euro copter was an ignition source for an offshore platform explosion. Another case centered around the tragic death of a young person on an airport taxiway. Mr. Fountain’s experience even extends to cases such as one involving a King Air 200, another involving a Turbo Commander with an “over temped” Allied-Garrett engine and another involving an IFR flight where an engine failure necessitated in a descent below a cloud deck in a hilly terrain, resulting in personal injury and property damage. 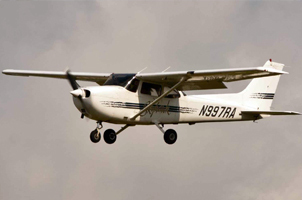 Mr. Fountain has also represented and counseled Certified Flight Instructors, aircraft owners being sued over the sale of their aircraft, Fixed Base Operators, and pilots employed by some of our country’s major airlines.